South Bend Community Re-entry Center is located in St. Joseph County Indiana. It is a minimum custody institution that prepares inmates for release. 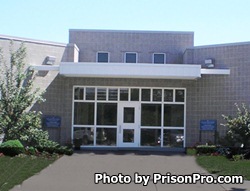 To do this inmates are allowed to participate in a work release program where offenders can leave the facility to do supervised employment during the day and return to the institution at night. The facility provides rehabilitative support and instills a strong work ethic among inmates..
South Bend Community Re-entry Center provides substance abuse treatment, financial planning courses, parenting classes, life skills programs, bible studies, and employment courses. All of these programs are aimed at preparing the inmate for a successful reintegration with society. Visiting is on Weekdays from 11am-1pm and Saturdays, Sundays, and Holidays in two sessions, the morning session is from 9am-11am and the afternoon session is from 1pm-3pm.